BOCA RATON, FL – After winning two of their last three games in the 2019 UPSL season, Boca Raton FC now prepares for their first home game of the 2019 season as they take on Palm Beach Flames on April 12 at Atlantic High School. The last time out, Boca Raton FC roared back from a 2-1 halftime deficit to defeat Palm Beach Spartans 4-2 with goals by Ryan Price, Kevin Byrne, Wikemlove Jacques, and Maher Soua. “We are just getting started,” said coach Jim Rooney. “We’re still learning the league. It’s very different, you see the group is beginning to improve and there’s a lot of positives to take from it”. The win is Boca’s second of the young UPSL season and it sees your boys in blue sit in second place in the UPSL standings. Following a heartbreaking 1-0 loss in the season opener versus Port Saint Lucie United, Boca Raton FC has found positive results in the last two games versus Palm Beach Breakers (1-0), and Palm Beach Spartans (4-2). Boca Raton FC will host Palm Beach Flames at Atlantic High School on April 12 in their 2019 home opener. The homestand will continue for your boys in blue as they take on ISA on April 19, and Vultures Purple on April 26. 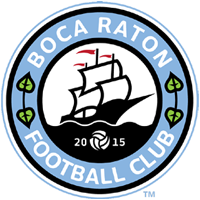 Season ticket packages for Boca Raton FC’s 2019 UPSL campaign are available now by visiting https://www.bocaratonfc.com/seasonpass.